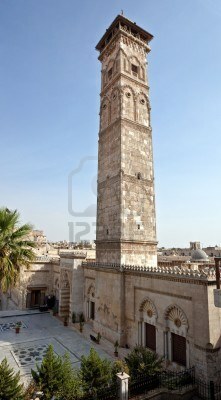 The destruction of a famous minaret dating from the Umayyad Dynasty in Aleppo, Syria’s second city, is a sad but unsurprising development in the increasingly bitter civil war that is tearing the country asunder. 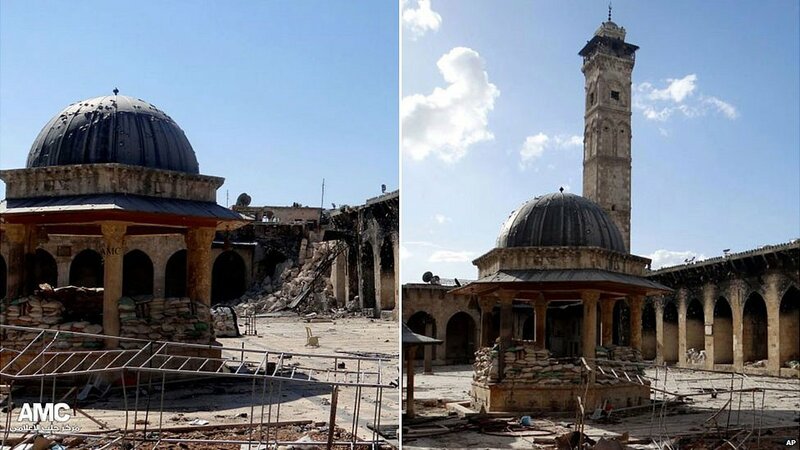 I warned in this blog a couple of months ago that the increasing intensity of fighting in Damascus and Aleppo had the potential to destroy some of Syria’s golden historical heritage. Whilst global attention has understandably remained trained on the awful civilian death toll and general suffering experienced by the population, the wanton destruction of one’s own culture is another destabilising factor that will not only increase the general misery of a proud people but make the country all that harder to rebuild. The felling of regionally significant buildings such as the minaret at the Ummayad Mosque in Aleppo is in itself a crime against humanity. It is the eradication of history, of culture, traits that define national identity and societal unity. How is a population to share a future when it can no longer relate to a shared past? In recent months, similar events have been seen in Mali, where Asar Dine philistines have destroyed some of the wondrous contents of Timbuktu’s famous shrines and libraries. The dynamiting of the Buddhas of Bamiyan by the Taliban in Afghanistan in 2001 is a further example of how radicalism, extremism and deluded ambitions have destroyed icons that, regardless of their religious affiliation, were important symbols of national prestige. In Syria, extremism flourishes from both the Al-Assad regime and elements of its rebel challengers. Concern is not for nation, people or history; it is for power, control and suppression of any dissenting element at any cost. 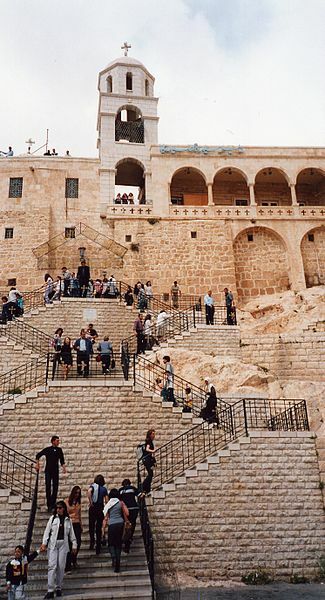 UNESCO heritage sites abound in Syria; indeed, the notion of a Syrian land and people is almost as ancient as any other contemporary state. During the Middle Ages it was an important centre of Islamic learning and, as Europe slumped in a religiously-repressed Dark Age, the Middle East became the cultural and educational capital of the world. Within that, Syria almost predominated. The Ummayad had their capital at Damascus in the seventh and eighth centuries and their successors, the Abbasids, contributed further to Syrian heritage with the construction of libraries and educational institutions. The Seljuk Turks built great mausoleums and mosques for their rulers, many of which remained standing throughout Mongol rampages, Ottoman rule in the Early Modern period and European incursion in the 19th and 20th centuries. Their survival has testified to the survival of Syria. For how much longer are we going to be able to say that? 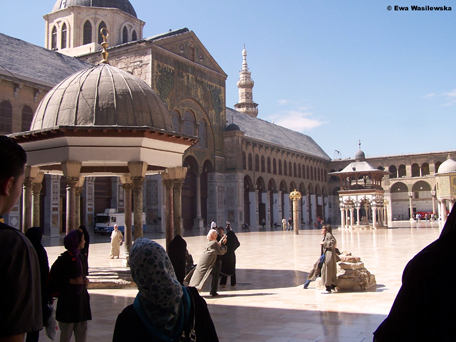 How long for Damascus’ Umayyad Mosque? A minor news item this week; twenty houses were burnt down near the town of Liwale, Tanzania as protests by irate cashew nut farmers got out of hand. Having not been paid a price agreed for their crop last year, the farmers turned on the ruling Chama Cha Mapinduzi (CCM) and set fire to supporters’ properties. Tanzania has one of Africa’s fastest growing economies and its economic potential is quite considerable. Cloves from Zanzibar, gold and nickel mines in the country’s interior, and a growing industrial base centred around food and metal processing, Tanzania is not lacking in exports. Like most African countries, however, Tanzania retains a strong reliance on primary production, particularly agriculture. In this, the country is particularly proficient, achieving a level of ‘industrialised agriculture’ not seen in many neighbouring countries until recent years. The predominant reason for this is the legacy of German colonisation. In 1885, the founder of the bluntly-named Society for German Colonization, Carl Peters, arrived in Tanzania where he signed alliances with several indigenous tribes in the hope of establishing a German protectorate. 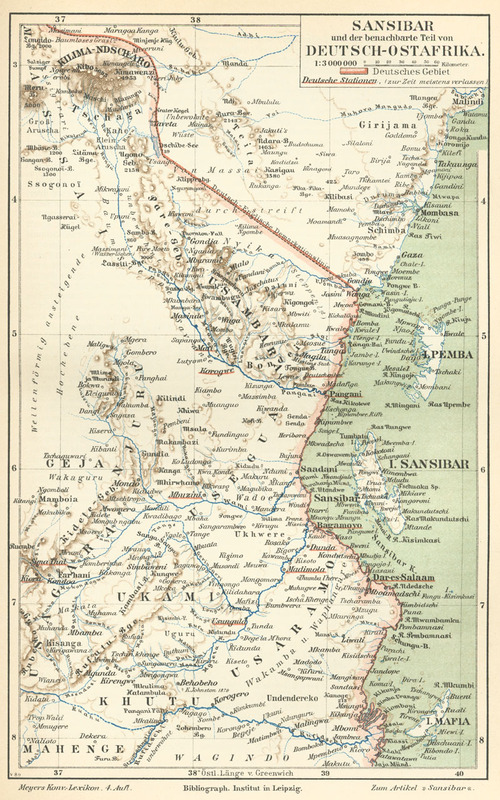 Despite sporadic opposition from some native tribes, which would persist throughout German rule, German East Africa came into being after Britain agreed to waive its claim to the territory. Within only a few years, the Germans effectively created a Tanzanian economy that had not existed under a territory divided into separate polities and chieftains. 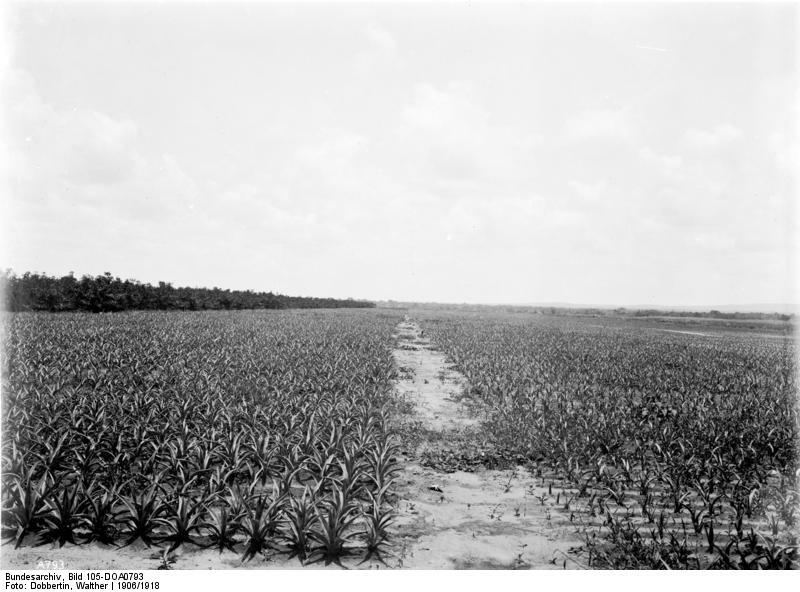 Massive rubber, sisal and coffee plantations were created under efficient German management and ruthlessly-exploited native labourers. By the outbreak of WWI, Tanzania was an important cog in the German Empire. Its produce supported the German armies on the African Front, whilst allowing the colonial authorities to live on in deluded splendour at their mansions in Dar-es-Salaam. Of course, Germany lost the war and Tanzania came under Belgian and, ultimately, British rule. In addition to their agricultural revolution, the Germans had introduced gold mining to Tanzania with some success. This would persist under the British only to become an almost redundant industry by the end of WWII. It would take an influx of foreign investment in the 1990s, and the discovery of nickel, to resurrect mining as an important economic contributor to Tanzania. Also, the Germans introduced what was a fairly sophisticated education system to the Tanzanian people during their short rule. This was not developed by the British, whose general desire to keep the subalterns firmly in their place negated any inclination to promote educational development. 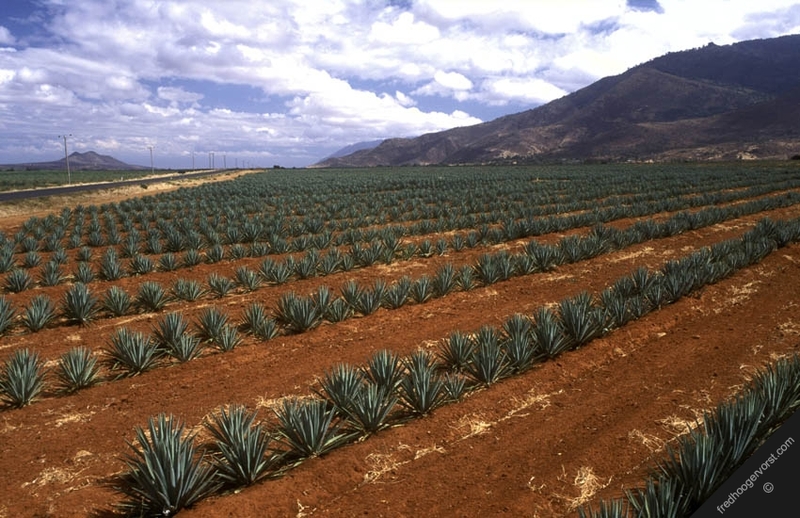 One thing that has always remained, however, is intensive agriculture. The cashew nut was first mass-harvested under German rule and continues, along with sisal and coffee, to make up a large proportion of Tanzanian agricultural exports. Whatever wrongs colonial rule perpetrated in Africa, there are examples such as this that prove some facets of European rule were beneficial. Without the Europeans it is arguable that Africa’s development would be even more stunted than it is today. The passion with which the Tanzanians farm their crops today is testified to by the cashew nut farmers’ protests. The government may be double-crossing the farmers over prices in an attempt to drive more workers into industrial jobs, where foreign investors seek to take advantage of a cheap and plentiful workforce. But for many Tanzanians, the land is all that they know and they continue to farm it under the influence of their former German rulers.